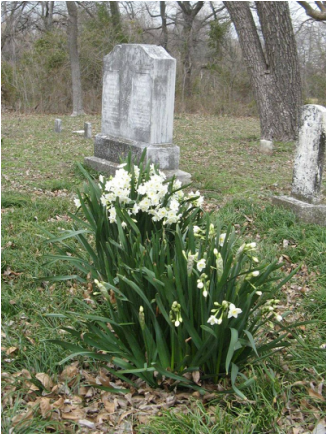 This is a one-acre, deeded cemetery listed in Vol 51, p 22. It is said to be the second oldest cemetery in Plano. The cemetery is neglected at present but was cleaned in the past year. The owners of the land are afraid of vandalism, and would prefer to keep the cemetery hidden. A historical marker has been applied for and approved. Efforts are being made to form a cemetery association. This area was once called "Rowlett." Samuel Young and Shadrick Jackson were brothers-in-law, and were among the earliest settlers here in 1844. They came to the area with the Baccus, Witt, and Gough families from Greene County, Illinois, to settle as neighbors along the waters of Rowlett Creek. Most of them were the founders of the Rowlett Creek Baptist Church, which is on the east side of FM 2478, just north of the Rowlett Creek Cemetery. The Jacksons and Youngs are buried in this cemetery. 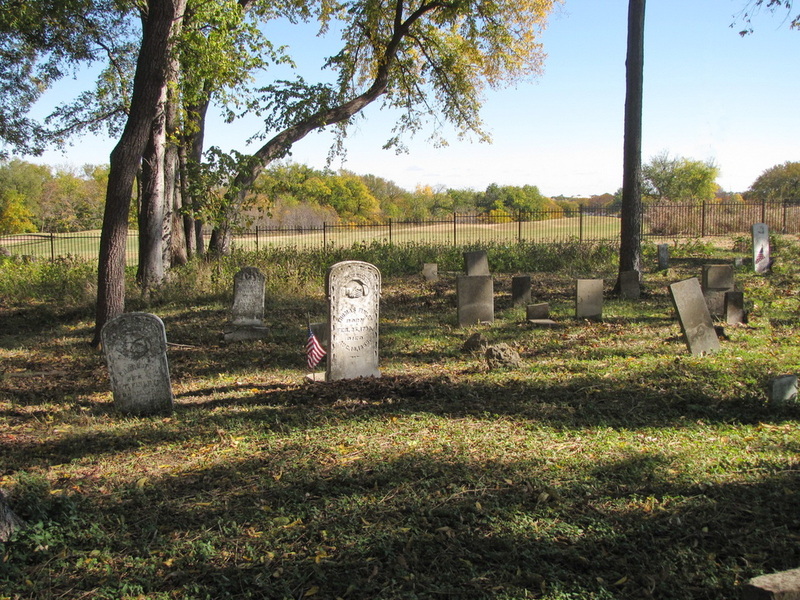 The Goughs and Baccuses are buried at Rowlett Creek Cemetery. The earliest marked grave here is for Sam Young's first wife, Patience. She died in February of 1847. The Young Branch is on the east side of the cemetery. COLLIN COUNTY CEMETERY INSCRIPTIONS I mistakenly lists Beulah and James Dennard as Youngs. The Ridgeview Golf Course is on three sides of this cemetery, the south, the west and the east. Access to the cemetery is through the apartment complex. JACOB P. HOUTS AND JACOB BACCUS, JR.